When it comes to organizing a wedding, wedding parties seek to make the experience as enjoyable and creative as possible for all members attending the ceremony, particularly for the bride and groom. Their entire lives have been leading up to this day, after all, and they deserve the most vibrant wedding that they could possibly experience. That’s where the details come in — in this case, we’re focusing on wedding sparklers. With the wide variety of sparklers for sale, there is by no means a lack of options in this department for wedding parties to choose from. Of course, choosing the right wedding sparklers is by no means the final point of the matter — they must also be used correctly in order to achieve the desired effect. Here are four great uses for wedding sparklers to highlight a beautiful ceremony. There’s nothing that brightens up the introduction of a wedding cake into a ceremony like glowing sparklers. A wedding cake adorned with sparklers provides a great light show for friends and family alike, as well as coming with the promise of great deliciousness to come. Of course, when cutting a flaring cake topped with wedding sparklers, it’s important to take the proper safety measures in order to ensure that the bride doesn’t have any stray flares catching her dress. Also, it’s highly advised that the baker be made aware of the use of sparklers before he or she endeavors to decorate the cake. There aren’t many moments in life quite as beautiful as a married couple’s first dance together. Wedding planners can pass sparklers out to all members of the party prior to the first dance, and the bride and groom’s friends and loved ones can light the mood with vibrant sparklers as they dance to their favorite song. When used on the dance floor, it’s important that receptacles be made visible and available to all guests so that they can put their sparklers out when done with them. During the reception exit, wedding attendees can form a path alongside the bride and groom and light their way into a happy life with the use of vibrant wedding sparklers, cheering as the bride and groom exit the party. In these cases, it’s important that wedding planners ensure that the reception effectively allows the use of sparklers inside or outside the premises. Floor sparklers can be used to great effect as the wedding car drives off from the reception. Wedding planners should ensure that the photographer is made aware of the sparklers in these cases so that they can get the perfect shot of the beautiful moment. A wedding is an inherently beautiful ceremony, and the use of the proper complementary effects can go a long way in making the entire experience all the more enjoyable for the bride and groom as well as their friends and family members. 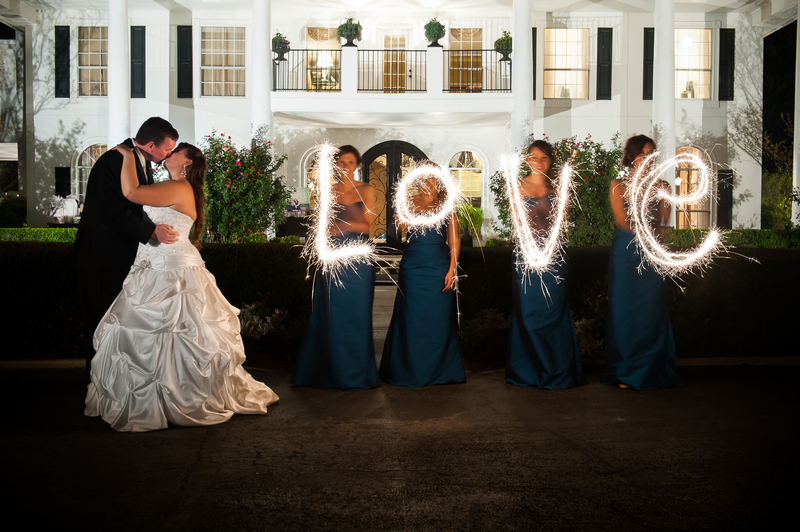 To achieve this effect, there’s nothing that gets the job done quite like wedding sparklers.